The Mekong Delta province of Hau Giang is facing extremely low water levels in local rivers, canals and fields, affecting the locality’s aquatic productivity. Water levels recorded in the main rivers passing Hau Giang are 20 centimetres below the lowest level in a decade. Current levels at the Nga Bay gauging station in the Cai Con River is 0.84 metres, dropping 0.45 metres from earlier this year, while the maximum height seen at the Long My station is 1 metre and the lowest is only 0.68 metres. 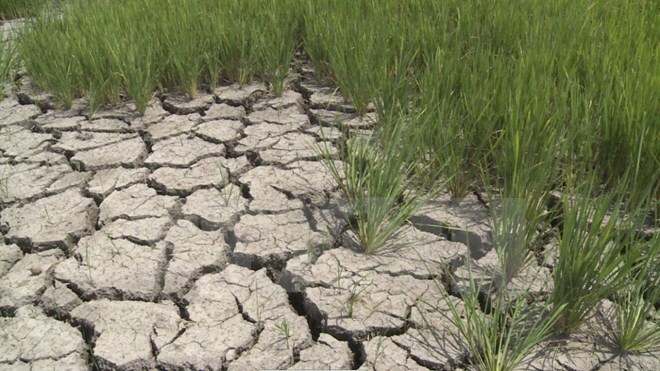 In Chau Thanh A district, home to the largest aquatic area in the province with about 700 hectares, farmers have not able to stock water with fry due to the low water levels. Experts held that the water level is likely to continue dropping as a result of the prolonged hot spell, low rainfall and impacts of hydropower dykes in Mekong river mainstream. In early June, abnormal salinity was seen many local canals, hindering aquatic production.